Neotech’s Sousaphone Cradle Pad offers ideal protection and ease of use. The combination of rugged ballistic nylon material laminated with internal padding and non-marring fabric shields against scratches, dents and abrasion to the instrument’s finish. This enables the musician to rest the instrument safely on the ground without fear of causing damage to the instrument. For the active musician in marching bands or playing in long performances, taking a reprieve from the load of a heavy instrument can be a real lifesaver - knowing that you can trust that it will not get damaged offers real peace of mind. 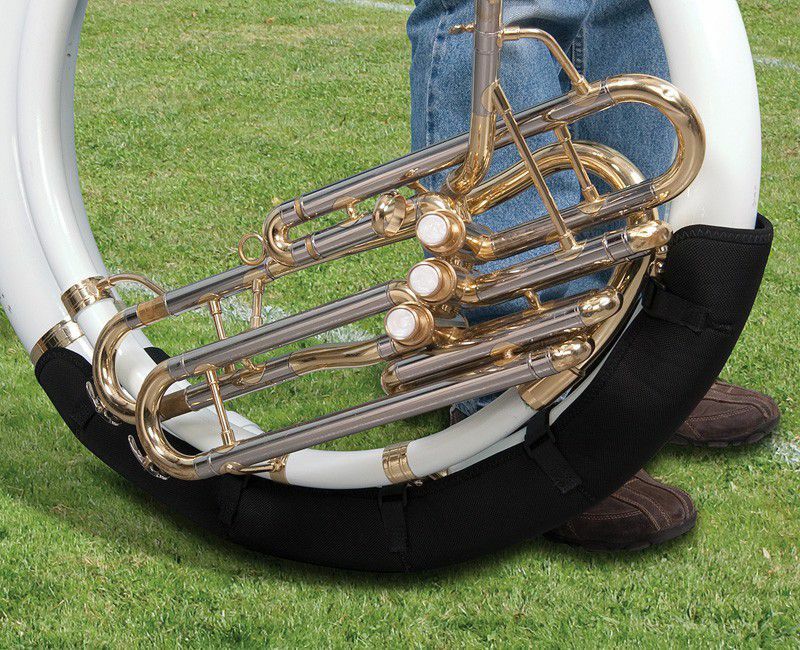 The Sousaphone Cradle Pad attaches quickly and easily to the bottom bow using adjustable hook-and-loop style fasteners. The streamlined, high-quality design can be left in place when put back in the instrument case for added protection while in storage or transit. Protecting the lasting value of your instrument is what it’s all about with the Neotech Sousaphone Cradle Pad. Make it part of your standard equipment!